The landscaping on your property lends a very open and attractive look to your home. If you have an outdoor kitchen, a deck or patio space, you use that to spend some leisurely moments with your family and friends. In most cases you end up using these areas in the late afternoon or evening hours. If you want to be able to make optimal use of this space even after dark, you would have to get outdoor lighting installed in the landscape. Some homeowners do get floodlights installed or lights installed along their home’s exterior walls. But this kind of lighting isn’t sufficient and in some instances, it does nothing for the ambience of the landscape. This is why it’s important to hire professionals for the job. 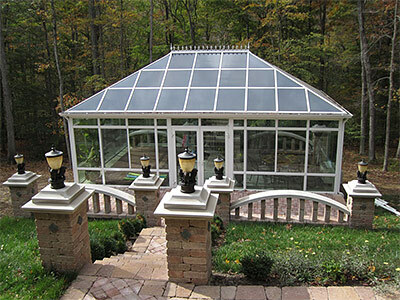 We at Mother Nature Landscaping are a full service company that has handled a number of small and large scale landscape lighting projects for customers in and around Bloomington, Martinsville, Mooresville, Bedford and Columbus. Over the years we have also catered to customers across Franklin, Seymour, Greencastle, Greenwood, Plainfield as well as Beech Grove. We understand that these outdoor lights can significantly increase your power bills and it’s why we suggest the use of energy-efficient LED lights. These are 80% more energy-efficient than any other standard bulbs and they can last for up to 50,000 hours. They are available in a range of colours and we use them to create the kind of effect and ambience you want on your property. In addition we also add relays, transformers and dimmers to the installations and this too adds to their energy-efficiency. If you looking for experienced and reliable outdoor lighting installers, you need look no further than our company. You can discuss your project details with the specialists at Mother Nature Landscaping and we will provide solutions at very reasonable garden lighting cost. The number to call is - 812-339-5296. You can also contact us via this online form or request for a free consultation and quote via this form.